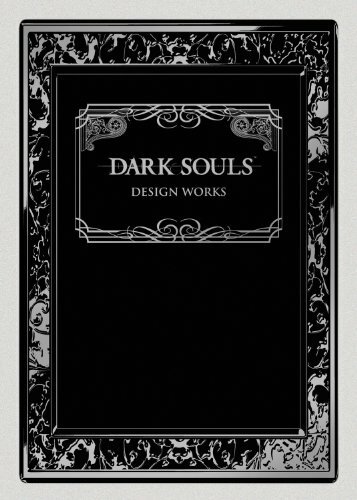 The English translated edition of the Dark Souls artbook ダークソウルデザインワークズ is finally out. It's another good job at translating by publisher Udon. The book's still hardcover, 128 pages. The cover is nicer. I like the sandy texture and the cover design is somehow printed over it in high gloss. Since I've already reviewed the Japanese artbook. The review that follows is roughly similar with minor changes. This artbook collects the concept art for characters, enemies, background, weapons and items. The last few pages are interviews with the designers of the game. The book makes more sense to me now that I can understand the captions. One of the highlights would of course be the interviews with the creators Hidetaka Miyazaki, Daisuke Satake, Hiroshi Nakamura, Masanori Waragai and Mai Hastuyama. This book is a bit underwhelming for me. Maybe it's because of the rough style of art (but hey, it's concept art), or because there aren't as much environment art which I was really looking forward to. Anyway, it's still a very fine video game art book, especially if you're into the mythical-knight-armor-castles-monsters fantasy art.